The following comes from a New Holland press release and is courtesey of http://www.beerpulse.com. More beer coming our way, can’t wait! 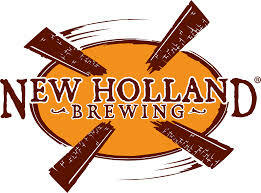 (Holland, MI) – Holland, Michigan-based craft brewery and artisan distiller, New Holland Brewing Co. has announced plans to distribute their products to four new markets across the great plains and into the Rocky Mountains beginning mid-August. Colorado, Nebraska, Kansas and Iowa will soon be a part of the brewery’s now 24-state territory for beer and 17-state territory for spirits, including Washington D.C. To celebrate, New Holland will be hosting a handful of events in each state in August and September to kick off their launch in Central U.S.
New Holland will release their Year Round series of craft beer (Mad Hatter IPA, Sundog Amber Ale, Full Circle Kolsh, Monkey King Saison, The Poet Oatmeal Stout and Dragon’s Milk Barrel-Aged Stout) and many of their spirits (Knickerbocker Gin, Hatter Royale Hopped Whiskey and Clockwork Orange Liqueur), as well as several seasonal offerings, with their popular but allocated Beer Barrel Bourbon to follow as production allows. Additionally, the New Holland and Carhartt collaboration brew – The Carhartt Woodsman – will be launched in mid-September. Big Grove Brewery’s Bitchin Birthday Bash Details!